Maintain best practices, improve operational efficiency, and people productivity. Powerful and intelligent tools for workflow automation enable you to generate change requests, automate device moves, and maintain a complete audit trail of requests and work orders for compliance. Reduce Word Order Inaccuracy or missing information. Ensure work orders are assigned to people with appropriate skills. Reduce workflow delays and bottlenecks. With our Change Management Solution you can better manage change within your data center by optimizing your current operations, assets and infrastructure. In doing so our DCIM software enables you to maintain best practices and improve operational efficiencies. 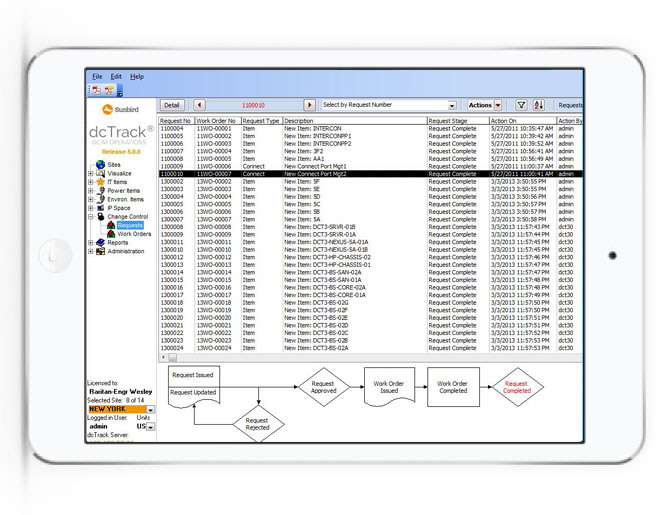 Sunbird’s dcTrack® DCIM software provides powerful and intelligent tools for workflow automation. 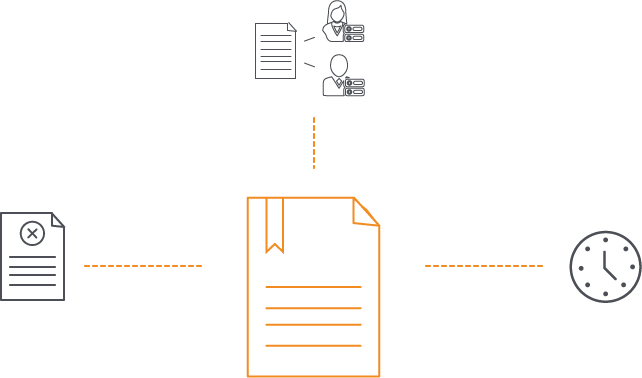 The solution enables you to generate change requests, automate device moves, and maintain a complete audit trail of requests and work orders for compliance. Remove unnecessary steps and delays from manual efforts. Verify that all information is within request and all parties are informed. Coordinate and eliminate duplicate requests.